Hi and thank you for joining me today. Don't you just love a matching punch and stamp set? I certainly do, it is so quick and easy to create lovely flowers with this Pop of Petals set from Stampin' Up! 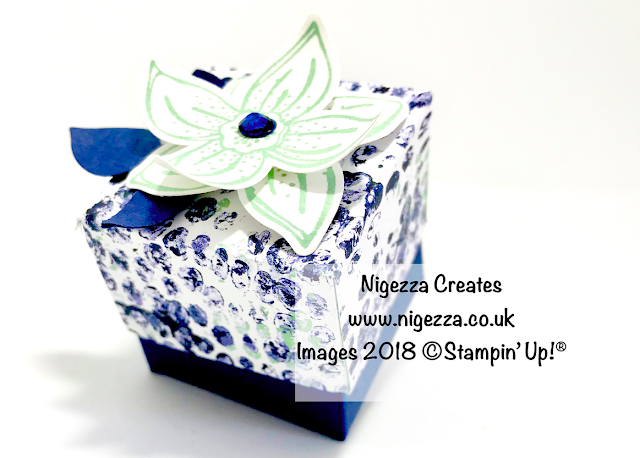 I wanted to make a box similar to the Daisy box I made last week and because this flower is smaller it is a tiny little cubed box measuring 1 1/2" x 1 1/2" x 1 1/2". 4 7/16" x 4 7/16"